Call Me by Your Name is the story of a sudden and powerful romance that blossoms between an adolescent boy and a summer guest at his parents' cliff-side mansion on the Italian Riviera. During the restless summer weeks, unrelenting but buried currents of obsession, fascination, and desire intensify their passion as they test the charged ground between them and verge toward the one thing both already fear they may never truly find again: total intimacy. Andre Aciman's critically acclaimed debut novel is a frank, unsentimental, heartrending elegy to human passion. 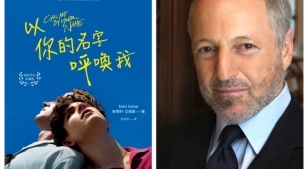 Andre Aciman is the author of Out of Egypt (FSG, 1995) and False Papers (FSG, 2000), and the editor of The Proust Project (FSG, 2004). He teaches comparative literature at the Graduate Center of the City University of New York. He lives with his family in Manhattan.